Initial Lacquer Love In The Rain has a light blurple pearl base with various sizes and colors of hexagonal glitter and small iridescent glitter. All nails are 3 coats with no top coat. 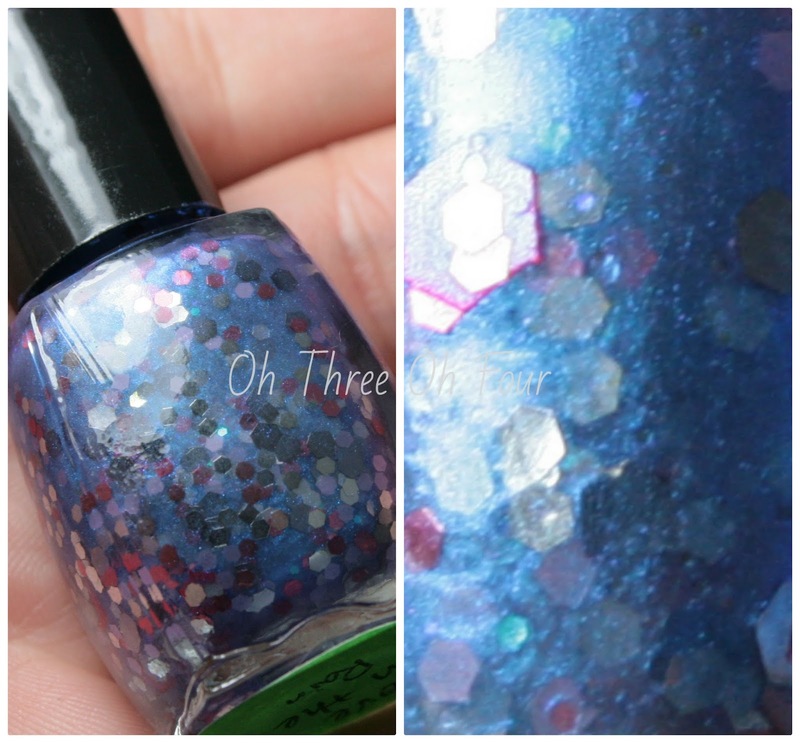 The Shiny Sea has a shimmery teal base with small holographic glitters and purple holographic shards. I used 4 coats with no top coat. Find Initial Lacquer on etsy here. Make sure to follow Initial Lacquer on Facebook here and Tumblr here, to keep updated with new polishes coming out!